Rhett Ellison is a professional football player who is currently signed to the New York Giants. Ellison started out as a fullback but now plays as a tight end and has gone on to establish himself as one of the best blocking tight ends in the National Football League (NFL). 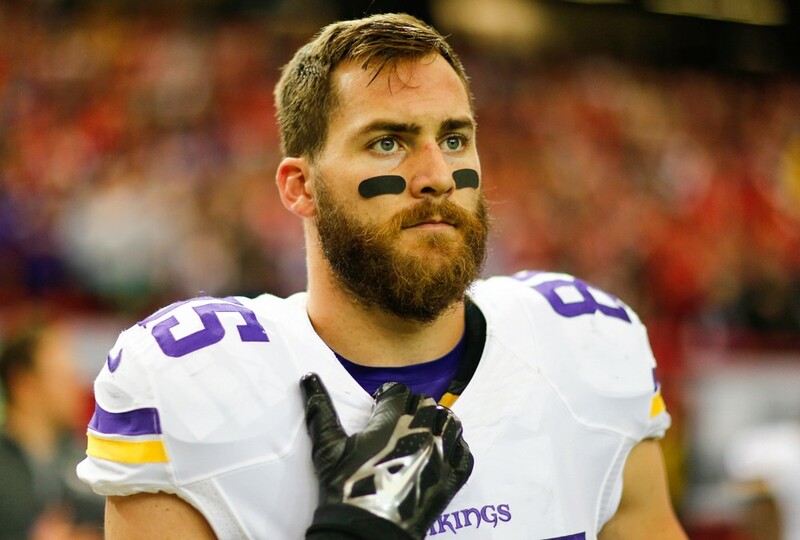 Find out more about Rhett Ellison here including his bio, ethnicity, body stats and wife. Rhett Ellison was born in Foster City, California on the third of October, 1988. His father, Riki Ellison, is from New Zealand and was the first Kiwi to play in the NFL. He won three Super Bowl Championships with the San Francisco 49ers and Los Angeles Raiders. Ellison’s mother, Sheila Ellison, is a bestselling author of books dealing with parenting and divorce and once appeared on Oprah Winfrey show. Rhett has two elder sisters, Wesley and Brooke and a younger brother named Troy. Ellison had his high school education at St. Francis High School in California where he played football. His incredible performances attracted offers of scholarships from several colleges but he picked USC (University of Southern California), his mother’s alma mater. He was redshirted for his first year at USC and as such spent five years 2007 – 2011 in college. In his four competitive years at USC, the young footballer caught 53 passes for 471 yards and 6 touchdowns; he also made 9 tackles out of which 7 were solo. On the academic side, Rhett ensured that the five years he spent at USC was not a waste as he obtained a bachelors degree in International Relations and a masters in Communication. Ellison was a fourth-round pick for the Minnesota Vikings in the 2012 NFL draft; the call from the Vikings came as a pleasant surprise to Ellison who was so tense that he couldn’t watch the draft on TV but instead took a walk down the Potomac River. Ellison spent five seasons with the Minnesota Vikings, appearing in a total of 73 games. He caught 51 passes for 515 yards with three touchdowns and one rushing touchdown; he is the 3rd tight end to score a rushing touchdown in the NFL. After 5 years, Ellison left the Vikings and was signed by the New York Giants as a free agent in a four-year contract. He had a good first season with the Giants, catching 24 passes for 235 yards and 2 touchdowns. Ellison has proven himself to be an excellent blocker as well as a decent catcher. Ellison is reportedly worth $3 million. He is currently on a four-year deal worth $18 million with the Giants. The deal includes $8 million guaranteed, $5 million in bonuses and an average annual salary of $4.5 million. For a young man, who did not expect to be drafted, Ellison has done well for himself. 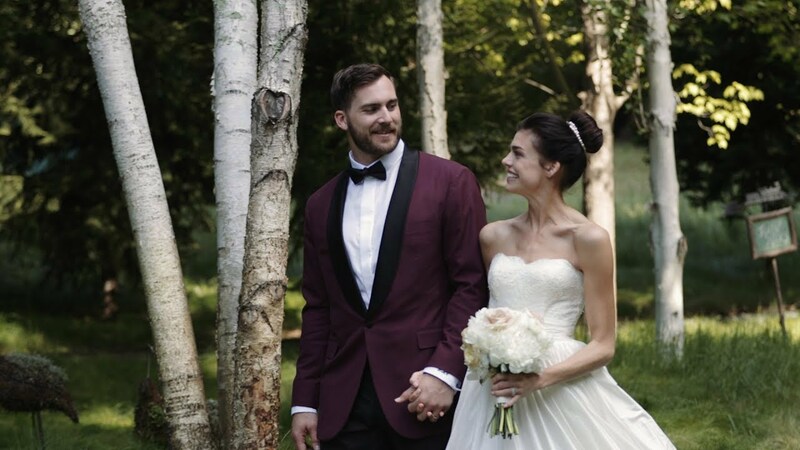 Rhett Ellison is married to Raina Hein. She is a professional model and was runner-up on cycle 14 of America’s Next Top Model. Raina is a native of Minnesota and has modeled in varied locations including Hong Kong, London, and Paris etc. She has also featured in commercials for McDonald and Smirnoff. Ellison and Raina got married in a touching ceremony in May 2016. They are blessed with a daughter, named Kaia, who was born on the 1st of November 2017. Raina, who admits that she basically knew nothing about football before meeting Ellison, is now her husband’s biggest fan. Rhett Ellison’s nationality is American but his ethnicity is Maori. Maori is a large Polynesian ethnic group indigenous to New Zealand. Ellison comes from a distinguished rugby family on his father’s side. For those who do not know, rugby is the national sport of New Zealand. Ellison’s great uncle, Thomas Ellison was the first captain of New Zealand’s national rugby team, All Blacks. His cousins, Tamanti Ellison, and Jacob Ellison are also professional rugby players in New Zealand. Ellison, who wears jersey number 85 at the Giants, stands at a towering 6 feet 5 inches or 1.95 m and weighs 254 pounds or 115 kg. There is no gainsaying the fact that his massive physique has contributed to his blocking prowess as well as his catching abilities.